I've taken 1912 as the (fairly arbitrary) cut-off when the motoring age started, and the roads were no longer the obvious place for a walking route. Before this, the difference between roads and tracks could not have been that clear, although one presumes that George Allen for one will have followed the main roads of the time. Elihu Burritt was an American from Connecticut who was appointed US Consul to Birmingham by Abraham Lincoln. In 1863 he walked from London to John O’Groats, and the following year he completed his End to End walk by walking from London to Land’s End and back. I found his books are rather disappointing as there is comparatively little in them about walking, about his own reaction to what he sees, about the scenery or about the people he meets. He tends to concentrate more on the grand buildings he sees, their history, and that of their wealthy and/or aristocratic owners. He states that “the leading motive of the two ‘walks’ was originally to see and note the agricultural system, aspects and industries of Great Britain, and to collect information that might be useful to American farmers”. The books themselves were also written with an American audience in mind. It is perhaps not too surprising that his writing doesn’t chime well with modern walkers: his motivation was very different. Having said all that, he probably has to be given the credit for coming up with the idea of walking between Land’s End and John O’Groats: he did it in two parts only because he couldn’t start early enough in 1863. The second book improves a lot once he gets away from “civilisation”. His crossing of Dartmoor gets the atmosphere across well, and some of the account of the southwest is good. "A Walk from London to John O'Groats" can be downloaded free if you want it: go to www.gutenberg.org. 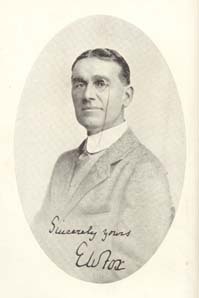 George Allen was an athlete and a vegetarian, and was spurred into attempting a record End to End walk by Dr Deighton, who claimed the End to End record in 1904, and attributed his success to a patent meat extract. The vegetarian proceeded to cut the record time from over 24 days to under 17 days. His book is of some interest as an early account of how endurance events were tackled at that time, but it's not great literature. It has recently been republished in the US by Kessinger Publishing, complete with a laughable typo on the cover (Lard's End!). This is a fascinating account of what was probably the first continuous walk between Land’s End and John O’Groats. The Naylor brothers were well-to-do young men from Cheshire who were presumably inspired to attempt the walk by the writings of Elihu Burritt, although they don’t actually say so in their account of their walk. Although the book was published in 1916, they actually did the walk in 1871: John Naylor wrote up and published the account from their earlier notes after the death of his brother, 45 years after their expedition! The book is well written, and the Naylors had a modern approach to their walking that is easy to identify with today: they were doing it for a challenge and to see as much of the country as they could. They refused to take ferries, and walked every step of the way. There is rather a lot of interspersed historical fact and also some historical myth, which is how the book ends up weighing in at 659 pages: there is plenty of personal account in it as well though. Highly recommended. You can download this for free if you want it: go to www.gutenberg.org.